January 10th has passed. Chávez did not show up for his swearing in, but his “people” took the oath in his place, because the people are Chávez, and Chávez is the people. The owner of the circus may not have been there, but there were clowns galore. There were chants of people pledging to give their life to Chávez – which may well happen, given Venezuela’s alarming homicide rates. There were TV stars and beauty queens. 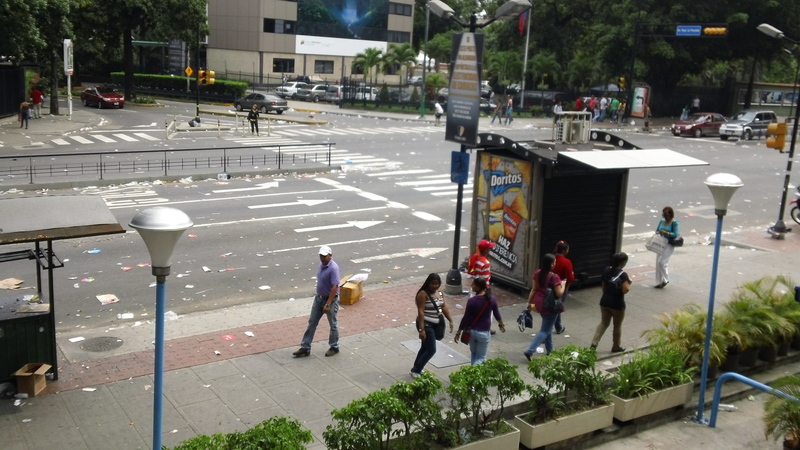 Foreign dignitaries came to insult Venezuelans while other Venezuelans cheered them on. Military planes flew over, while no one – absolutely no one – mentioned the 11 people that died in a bus accident while being hauled to Caracas for the rally. Now that it’s over, the question that begs asking is: why was this necessary? Yesterday was the kick-off of the Nicolás Maduro presidential campaign. After having triumphed in the PSUV primary – which is basically what the Supreme Tribunal “decision” amounted to – Maduro needed to bask in some form of legitimacy. He got that yesterday by the perfect conjunction of military power, foreign leaders, and el pueblo mejmo, all under the mystical glow of the dying President. If he can keep this ramshackle coalition together, he has a shot at actually getting himself elected to the job he now illegitimately occupies. Chávez is still alive, but the campaign for his succession has already started. Are we ready for it?